Capture and edit stunning videos in an all-in-one recorder. 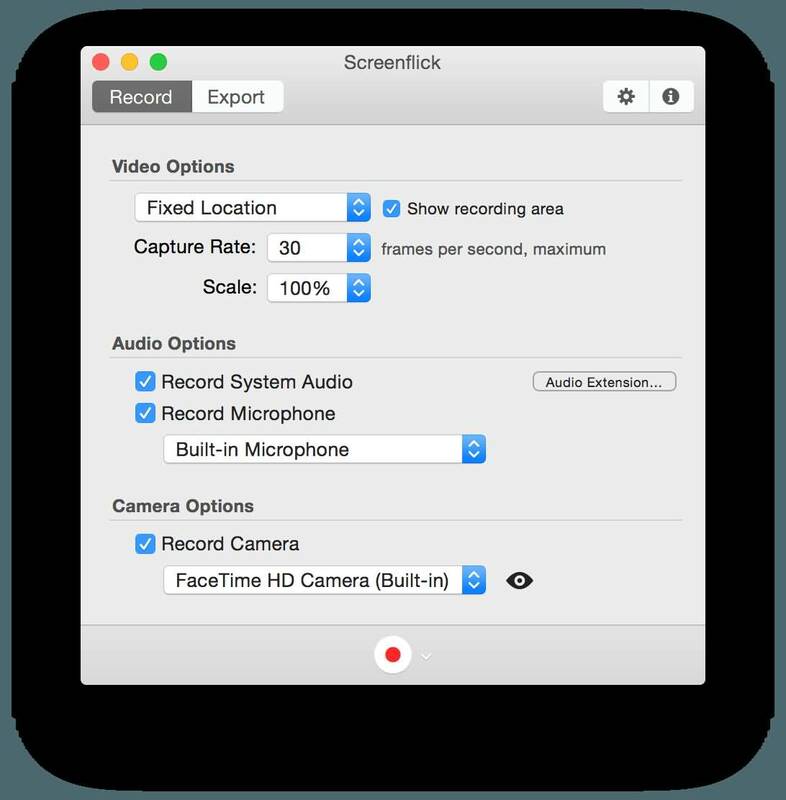 Recording capacity-The screen recording capacity of Screenium would allow you to record just what you view on the screen and create a superb screencast in no time. With its 60 fps recording speed you will be able to record your gameplay, online tutorial or any other content you want. Even if you are working on a 4K or 5 K display, this software would help you create the best quality videos suitable for these devices. It comes with 3 recording modes- full screen record, individual windows record or customised record. Editing capacity--No matter if you want to create transitions between shots, add texts, markers or animation, resize the length of the video, you can do anything and everything with the help of this versatile editing software. With just a few clicks of your mouse you will be able to create a perfect screencast. Now you can add interesting shapes to highlight the items on your menu, animate the text objects or hide any data which is sensitive. You can choose to add audio comments in a number of languages so that your viewers can choose a language before playing the video. This software even comes with a computer voice which would read out your text in case you don’t want to comment yourself. The chapter marks would allow you to divide your screencast into a number of small segments which can be directly selected. This would ensure that your viewers get to skip a certain part of your screencast and skip to the relevant portion without delay. It offers four capture modes and can even capture from any iOS device connected to a Mac pc. This screencasting and video editing software for Mac comes with superb recording and editing features. With Screenflow any part of your monitor could be recorded while capturing an iOS device or a video cam at the same time. The user friendly editing feature allows the user to effectively edit their video and also add text, audio, images and much more. Priced at $99.00, this is the best screencast software you will find below the $100.00 price range. 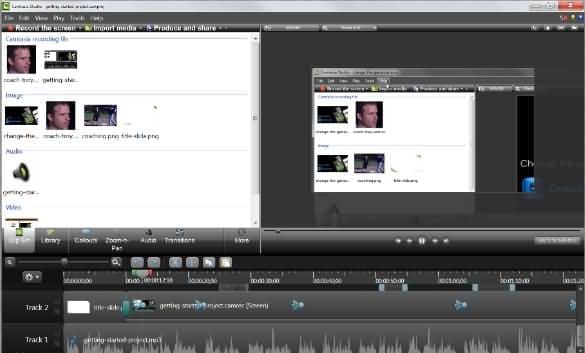 The drag and drop editor of Camtasia helps you create compelling videos in almost no time. Ideal for use for beginners Camtasia makes it real easy to record your screen and import the created video and audio files. The multi track timeline can be expanded to fit all your video editing requirements. With this software you can split your videos, remove portions from a video, add music, voice over and much more. Even if you have no experience in creating videos, you will be able to come up with professional and engaging clips with the help of Camtasia. You can download the trial version to find out more. Camtasia video editing software is available for $199.00 dollar. This high end software is used by professionals all around the globe for audio and video screen capture purposes. No matter if you are recording a gameplay, a chat session, a tutorial, the demo of a website or any other thing on your screen, you can trust Screenflick to do the job in the most professional manner. The sophisticated and customizable interface would tap into all the user events so as to highlight them in the created videos. It enables you to record live audio from your mic or any other audio devices. The screenflick remote control would allow you to do your job without making the interface visible in the final recording. One of the most affordable screencast software you can buy this for just $29.00. Filmora is a perfect video editing software which comes with loads of useful features like correction of lens distortion, cleaning up audio and greater speed controls. The recording feature is totally free for any users. The Instant Cutter feature would enable you to trim and merge any clips in no time. The clips will be instantly exported to your desired destination. With more than 5 million users all over the globe Filmora is surely the coolest video editing software you will find in the market. You can buy this software with 1 year license for $39.99 and the one with lifetime license is available for just $59.99. Filmora scrn Screen Recorder Software is a video editor which allows you to record and edit your video footage in one place. It is available for Mac and Windows both.